On ConservativeHome last night the faithful were debating whether Dan Hannan’s views on the NHS mattered. 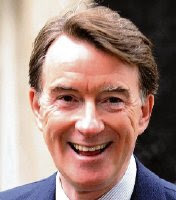 Hannan had criticised the NHS on American TV – in the States at the moment, with Obama attempting to reform their healthcare system, the service is becoming a political football. Hannan’s views don’t matter, but the publicity they’re getting does to Cameron’s agenda. It would be a blow for the Tory leader if the belief that the Tories wanted to dismantle the NHS somehow took root. I didn’t listen to Today this morning – did this really happen? It’s a piece in which Evan Davis speaks to Norman Tebbit while he cooks a pheasant. Bizarre. “David thinks of me as part of the nasty party that used to win elections,” says Tebbit. He also shockingly reveals that he has "difficulty" with Geoffrey Howe. 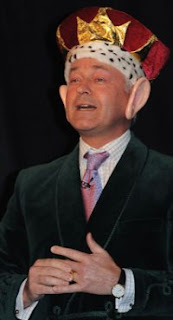 There has been a whiff of bitterness from some MPs that the group Don’t Panic – who duped Alan Duncan – covertly made their film after being invited into Parliament. It is though they didn’t play fair or in a gentlemanly way, the voices say, and abused the trust of Mr Duncan. Schmaltz. Lobbydog has grown rather fond of the team at Don’t Panic. I was chatting with the group’s director Joe Wade who said neither he nor editor Heydon Prowse had any regrets about making the Duncan film - which can be seen on their website – or its consequences for the Melton MP. “We make the films and what happens after that is really out of our hands. If it happened that he ended up getting sacked then so be it,” he said. The group is a marketing agency which runs campaigns for charities and private companies, but also campaigns itself through a magazine and website. “If you are in a position like Mr Duncan’s then you deserve to be scrutinised – in this case the film’s editor Heydon Prowse was showing the audience how different an MP’s views and life are from their own,” said Wade. 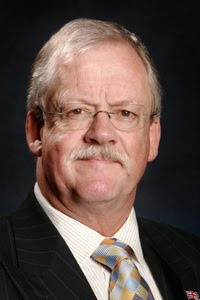 I happened to speak with Roger Helmer this morning – the Tory MEP who started an internet row after suggesting homophobia “describes something which simply does not exist”. Ian Dale has his say last night. But Helmer said this morning: “I’m not pretending that there is not any prejudice and discrimination towards homosexuals. "No-one is pretending there is no abuse, intimidation and violence. I condemn violence against any minority group. He went on to explain that the term ‘homophobic’ implied someone had a psychological disorder – and was used wrongly against people who simply had conservative views on sexuality. Probably true. The ‘conservative views’ he’s talking about in this instance are those about homosexuals and marriage – which he doesn’t think go together. In fact, his original post was more pointed than his tone today would suggest. In the ensuing comments he made a rather stark allegory about homosexuals needing marriage like a scuba diver needs a parachute. Helmer has a knack for getting on all sorts of people’s goat, including his own party leader. At the last party conference he was centre of attention again after stories circulated about him being “banned” from attending a debate with UKIP leader Nigel Farage. No doubt his most recent comments will leave Cameron grumbling about old guard Tories again. Throughout the ‘spending row’ the PM has tried to sell the idea that the Tories will cut, while Labour will invest. Today George Osborne framed the row differently while giving a speech at the think tank Demos. "We face a choice between progressive reform with the Conservatives and front line cuts under Labour. "Without fundamentally improving the productivity of public services, the quality of those services will deteriorate as budgets are squeezed. that will lead to deep cuts in front line services." It’s the same line the Tories have been getting out all along, but put a little more clearly and with a little more emphasis on the idea that Labour will be the ones making cuts. Of course the line “progressive reform with the Conservatives” will still spell c-u-t-s for leftish voters. But it’s the idea that the Tories have a plan based on a brutally honest appraisal of the facts and are aware that cuts are necessary which will win those all important middle-way votes. Arriving at Paddington Station last night after a long weekend in Penzance I was shown up by the dedication of Lord Mandelson. He too had arrived back from a holiday, but rather than stopping work like me he had apparently been running the country for 72 hours from his resort in Corfu. Such a conscientious example could put one to shame.